This entry was posted in Paranormal on July 9, 2014 by spiritdeb. I know this sounds strange coming from someone who is a medium. However, those of you out there grieving need to know that you don’t have to get a psychic reading to connect with your loved ones who have crossed over. Truly, you don’t need to pay a medium to do something you can do yourself. Too often when people lose someone they want to rush to a medium to ‘talk’ to those they lost. They want proof that we go on after we die. They want to know that those who have crossed over are all right. In short they are looking for comfort. I have done readings for people who were desperate for any contact they could get with the other side, and I often did it pro bono. Though I explained that they could look for signs and try talking to the deceased themselves, they were bent on getting a reading no matter what I said. These people were looking for relief. The key question everyone wants to know is if their loved one is all right. I have to say that I have never had a client’s loved one come through who wasn’t doing all right. Those who committed suicide were healing and often very happy. Those who were murdered were doing fine in the spirit realm and were more worried about their family left behind than anything. Those who struggled with long illnesses were pain free and all smiles. In summary, they were OK. Despite positive readings and evidence of an afterlife, I noticed people would keep coming back. Over and over they would want more readings, and I had to explain to them that they needed to work on making contact themselves. Everyone is capable of doing this. Though grief can blunt your natural psychic ability, this won’t last forever, and eventually you can act as a medium yourself. You can do this all on your own. You don’t need anything to make you more psychic. You don’t have to have crystals or amulets or books. You don’t have to burn candles. You don’t need to pay someone. All you need is you. The more you focus and relax and let your conscious mind go, the better your likelihood of receiving messages. Yes, there are classes you can take to learn how to better tune your medium abilities. Though I don’t do it often, I sometimes teach seminars for the die-hard people who are adamant that they want to learn more. These are usually people who want to read professionally. But you don’t have to take one of those classes. You really don’t have to spend one dime to learn to focus better and watch for spirit signs. If you are worried about a loved one who has died, keep peace in your heart and know they are fine. You don’t need to pay someone to tell you that. You can contact your loved ones yourself. Often they will work hard to give you signs or signals that they are still with you. Through dreams , animals, electronics, and even sounds, they can make their presence known. I hate to see people waste their hard earned money when they don’t have to. If you understand all this but still feel that you need a psychic reading, then take your time to find someone who has a good reputation. You don’t want to go to just anyone. A word of caution is important. Just because someone is famous doesn’t mean that person is any better than a local psychic who charges a fraction of what celebrities do. Sometimes you will find that your local psychic who charges very little for a reading will give you a much better experience than the TV psychic who charges four or five hundred dollars an hour. The reality is that you can do this yourself. You’d be better served saving your money and using it on something for yourself to make your life easier. The more you take care of yourself and find relaxation, the more likely you will get messages. Sometimes it is when you stop looking that you find what you were searching for. 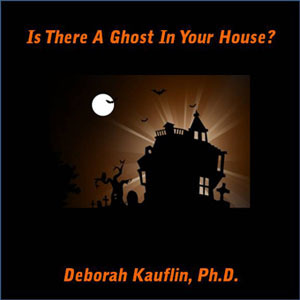 This entry was posted in Paranormal and tagged afterlife, deborah kauflin, ghost, paranormal, psychic medium, spirit, spirit contact on July 1, 2014 by spiritdeb.